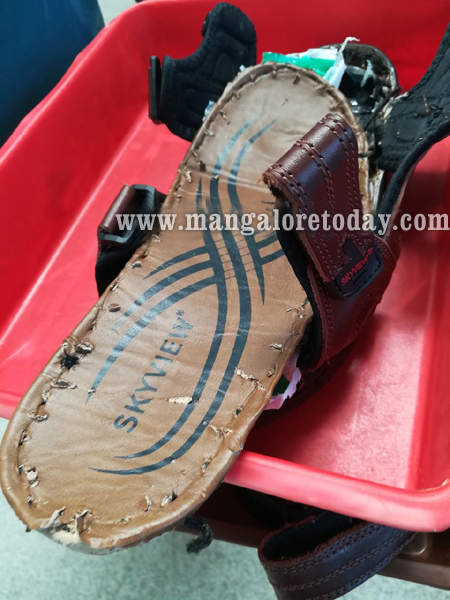 Mangaluru, Nov 27, 2017: Customs officials at the Mangaluru International Airport have arrested a passenger from Kasargod on November 26, Sunday after it was found that he had concealed 804 grams of gold worth Rs 24 lakh in his footwear. The accused identified as Ahmed Tahir had arrived from Dubai by an Air India flight IX 814. The accused is learnt to have confessed that he was a carrier for another person and has been a frequent traveller on the route.